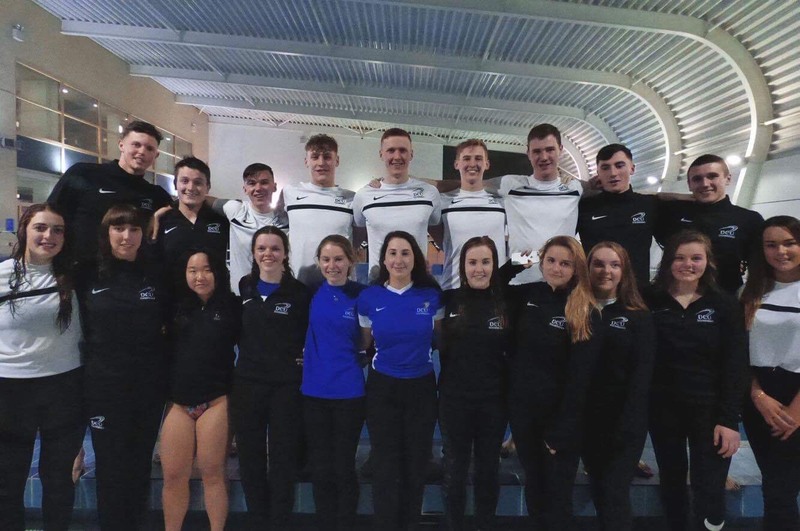 The DCU Swimming and Water Polo club swept up at the intervarsity gala held in NUIG on the 18th of November, winning eight golds between individual and relay races. Twenty-two swimmers traveled to Galway for the invitational gala, which is held in November every year. David Prendergast, Cillian Colvin and Brendan Hyland won gold in their individual races taking first in categories including front-crawl, back-crawl, breaststroke, butterfly and Individual Medley. They also participated in relays with Ben Griffin, Yuan O’Neill, Shauna McGahon, Emma Vaughan and Kate Anderson all claiming gold. DCU student and head coach Brendan Hyland said the competition is a decent standard for a club competition and a warm up for varsities. All the events were 100 metre swims. “I think we could win varieties this year, if all goes well maybe, it’s just that UCD have numbers on us, which is how you usually win since it’s a points scoring,” he explained. >Varsities are usually held in early March and are often won by UCD. Their women’s team victory in the 2017 varsities was their eighth consecutive win. The men’s team were also victorious. University of Limerick finished between UCD and DCU in both the men’s and women’s competitions. University College Dublin invest heavily in their swim teams. Using corporate sponsorship, they employ professional coaches and have a state-of-the-art 50 metre pool. DCU have been competing well considering the team train in a leisure pool with no starting blocks. “There is a sports scholarship [for swimming in DCU], Ross Munnelly has been good for that… but I don’t know if they would ever be up for investing in it the way they do in athletics,” said Hyland. The coaches have high hopes for 2018 and are confident they can do well if they get the numbers for the competition in semester two. “It would be great to win since UCD put so much money into it and we just have these two lanes,” Hyland reflected.